Imlygic (talimogene laherparepvec, or T-Vec) is a first-in-class advanced medicinal drug used to treat melanoma that has spread throughout the affected area or other areas of the body without affecting the lung, brain, bones, or other internal organs. It is also the required treatment when the melanoma cannot be removed through surgery. The biopharmaceutical company Amgen was given the green light on Imlygic at the European Medicines Agency’s (EMA) Committee for Medicinal Products for Human Use (CHMP) October 2015 meeting. The recommendation from CHMP sets up the approval of Imlygic in the next two months. If Imlygic receives approval by the European Commission, the melanoma treatment will be the first drug of its class, called oncolytic immunotherapies. Melanoma is considered the most aggressive form of skin cancer. In the U.S., there were an estimated 73,870 new melanoma cases and 9,940 deaths in 2015. Also, there were more than 100,000 Europeans diagnosed with melanoma in 2012, which accounted for about 22,200 deaths. The key risk factor for melanoma is unprotected exposure to sun and ultraviolet (UV) light. Melanoma can often be removed through surgery after early detection, which leads to a good survival rate. On the other hand, prognosis is poor when melanoma has spread. 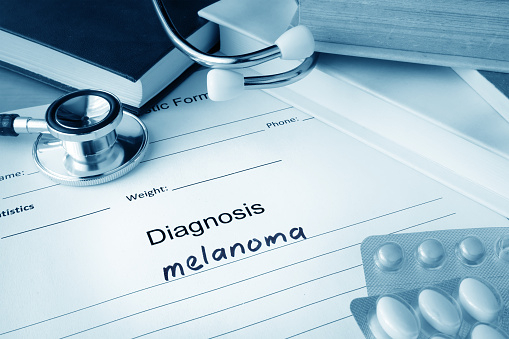 The last three years have led to new and beneficial melanoma treatments, such as BRAF V600 inhibitors, MEK inhibitors, and immunotherapies; however, there is still a need for further melanoma treatments to improve the disease. Imlygic is made from the type of herpes simplex virus that causes cold sores, and has been genetically modified to only infect cancer cells. Imlygic works by entering the tumor cell and replicating using the cell’s energy stores to overwhelm and kill the cell. After the tumor cell dies, the virus copies are released into the patient’s blood stream in order to kill other tumor cells. Imlygic can enter healthy cells, but it will not replicate or kill them. Imlygic is typically injected into melanoma lesions. The U.S. Food and Drug Administration (FDA) and the U.S. agency are set to give a verdict on Imlygic’s approval by October 27. Other FDA-approved drugs for melanoma include Aldesleukin, Dabrafenib, Dacarbazine, DTIC-Dome, Interleukin-2, Intron A, Ipilimumab, Keytruda, Mekinist, Nivolumab, Opdivo, Peginterferon Alfa-2b, Pembrolizumab, Recombinant interferon Alfa-2b, tafinlar, Trametinib, Vemurafenib, Yervoy, and Zelboraf. Besides Amgen, other companies developing anti-cancer drugs include Genelux, SillaJen, Oncolytics Biotech, and Targovax. “First oncolytic immunotherapy medicine recommended for approval,” European Medicines Agency, October 23, 2015; http://www.ema.europa.eu/ema/index.jsp?curl=pages/news_and_events/news/2015/10/news_detail_002421.jsp&mid=WC0b01ac058004d5c1. “Amgen Receives CHMP Positive Opinion For IMLYGIC (Talimogene Laherparepvec),” PR Newswire, October 23, 2015; http://www.prnewswire.com/news-releases/amgen-receives-chmp-positive-opinion-for-imlygic-talimogene-laherparepvec-300165360.html. Hirschler, B., “Amgen wins EU green light for first virus-based cancer drug,” Reuters web site, October 23, 2015; http://www.reuters.com/article/2015/10/23/us-amgen-cancer-europe-idUSKCN0SH17520151023. “Drugs Approved for Melanoma,” National Cancer Institute web site; http://www.cancer.gov/about-cancer/treatment/drugs/melanoma, last accessed October 23, 2015.